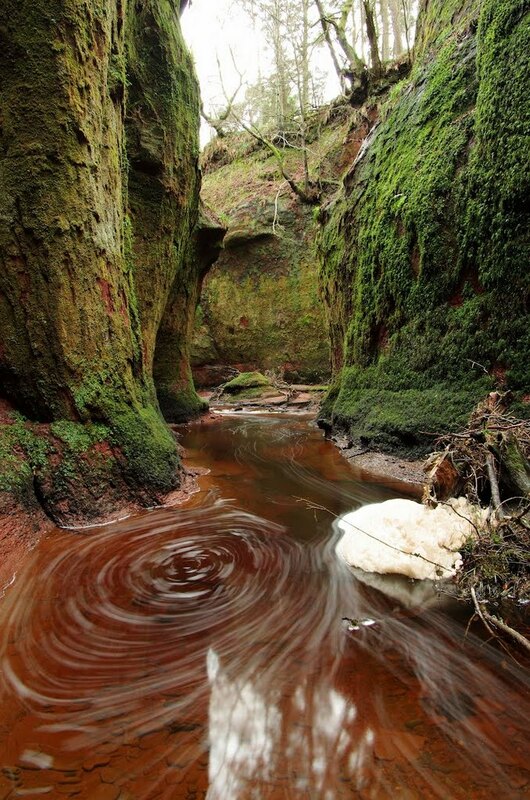 Finnich Glen (The Devils Pulpit) is found near the village of Killearn approximately 30mins north from Glasgow . According to local lore , the gorge was used by druids as a secret meeting place . The amazing Finnich Glen which is a little visited dramatic 100ft deep gorge, although a busy road runs over it.